Science activities are fun way of learning for children. 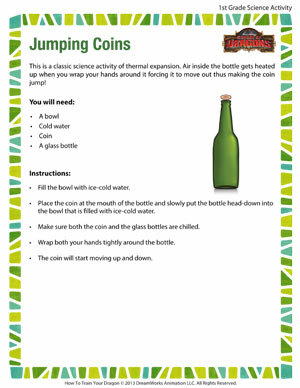 Children will enjoy watching a coin jump up in the bottle in the science activity for 1st grade and will want to repeat it over and over. The air inside the bottle heats up when you hold the bottle with your hands. The warm air pushes harder than the cool air outside the bottle and forces the coin up so that it appears to float. 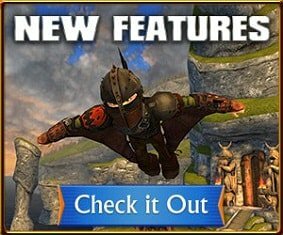 Browse more science activities on School of Dragons.